Leading international classification society Bureau Veritas has issued Approval in Principle for the WindFloat Floating Offshore Wind Turbine (FOWT) foundation. WindFloat is designed by Principle Power and consists of a ballasted floating platform which supports a multi-megawatt wind turbine generator. The WindFloat is a floating platform that supports a multi-megawatt wind turbine generator. It is unmanned, and carries no significant quantity of pollutant substances. The platform is moored with a three-line catenary mooring system. It is a three-column platform, equipped with a closed-loop ballast system to compensate for changes in mean wind velocity and direction. A first WindFloat prototype has been deployed in Portugal, 5km off the coast of Aguçadoura, since 2011. To date the system has produced and delivered over16GWh of electricity to the grid, demonstrating the concept feasibility without significant issues. 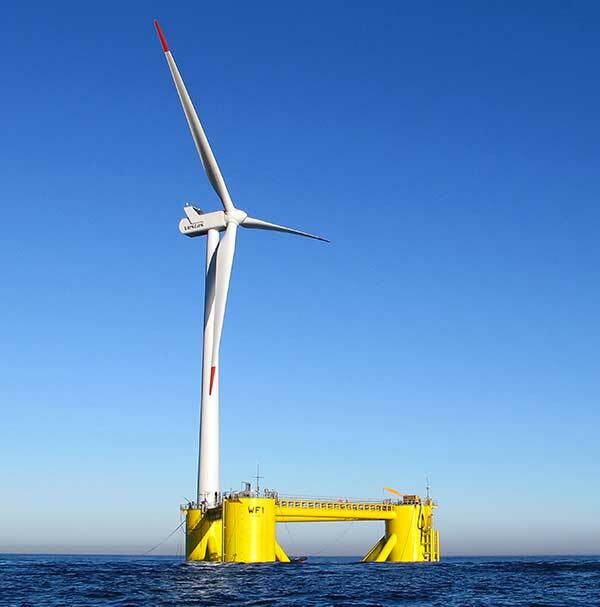 The second generation of WindFloat technology, addressed by the present Approval In Principle, is intended to be part of a pilot array of floating offshore wind turbines in the French Mediterranean sea, to be developed by ENGIE and EIFFAGE. Approval in Principle for Bureau Veritas implies that the design is feasible, achievable, and contains no technological show-stoppers that may prevent the design from being matured and that the design is deemed to be suitable for use in the metocean conditions that the unit facility will be located in. Bureau Veritas’ engineers verified design methodologies, covering hydrodynamics, structure, stability, electricity and machinery to check that that the design is deemed to be suitable for use in all phases of operation including in-transit to field, installation, hook-up, commissioning, start-up, operations and offloading and provide recommendations to fulfil through the following phases of the project.